Chun-Li has a wide toolbox of attack to maintain position and tempo in Street Fighter, and we wanted to capture that style of play in Exceed. Chun-Li will often work for just the right position or just the right moment to strike. That patience and payoff are the keys to her focused style of play in Exceed. At first blush, Chun Li may seem like a boost-focused character. In fact, she's more focused on positioning and tempo, and her boosts are just a means to that end. 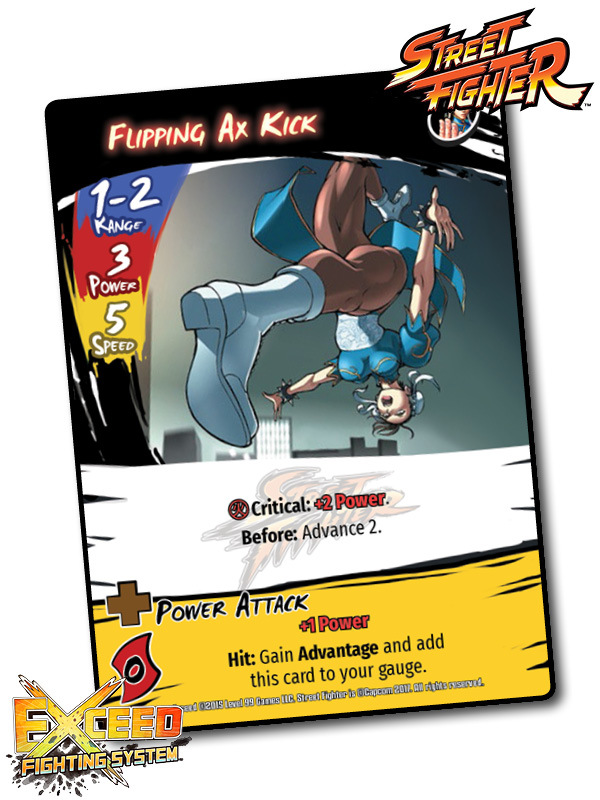 Being able to back up after playing a boost has the dual-purpose of upsetting her opponent's preferred range while increasing the threat of her next attack. An opponent will often need to compensate by stepping back in, giving Chun-Li the opportunity to attack with initiative or to stack another powerful boost. 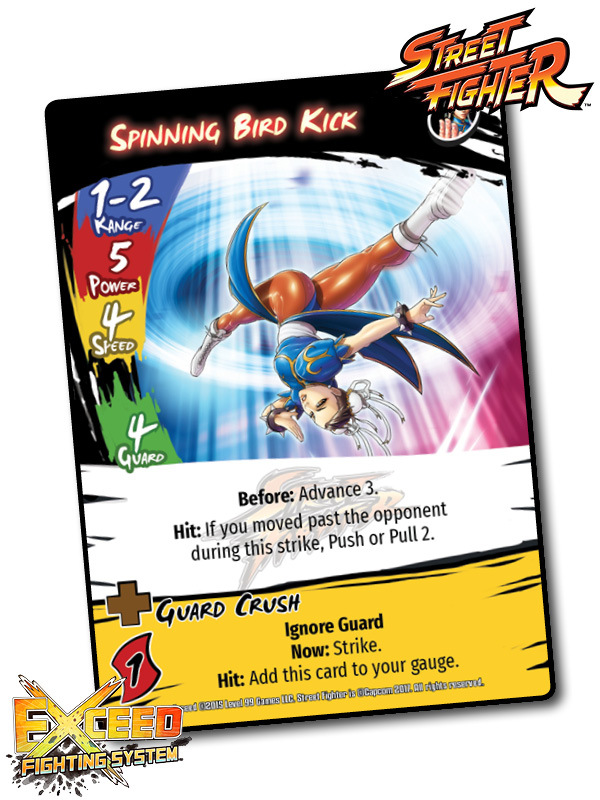 In addition to the pressure provided by her retreats, the boosts on many of Chun-Li's Special Moves let her attack immediately after being played. This lets her customize attacks with a unique property, much like C. Viper. It also allows her to back up one space and attack in the same moment, much like Season 1's Ulrik. Check out Chun-Li's Kikoken! How does it compare to Ryu's Hadoken? How about C. Viper’s Seismic Hammer? The interactions of the different fireballs was something we spent a lot of time balancing in Street Fighter Exceed. While Ryu has superiority in Range and Speed, Chun-Li can block and counter a ranged attack with her Kikoken for an even trade. With a Critical, she’ll parry most of the damage from the faster fireball before throwing back her own. Hosenka is an especially great finisher from its optimal range of 4, and can quickly end a match if you set it up! Don't be deterred by the cost–Chun-Li's boosts let her build gauge especially fast, and she doesn't lean as heavily on the Critical mechanic as other fighters. But who are we kidding? You'll probably just be using the Ultra Parry every chance you get. I hope you've enjoyed this look at Chun-Li! Look out for another fighter next week!